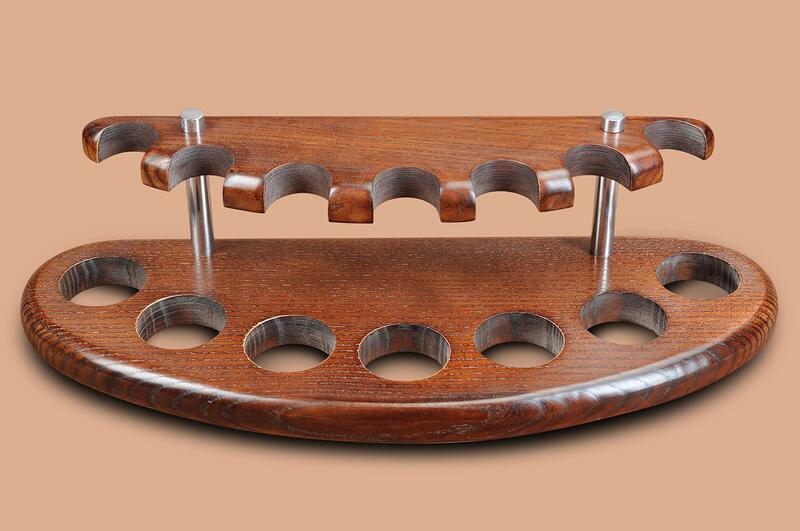 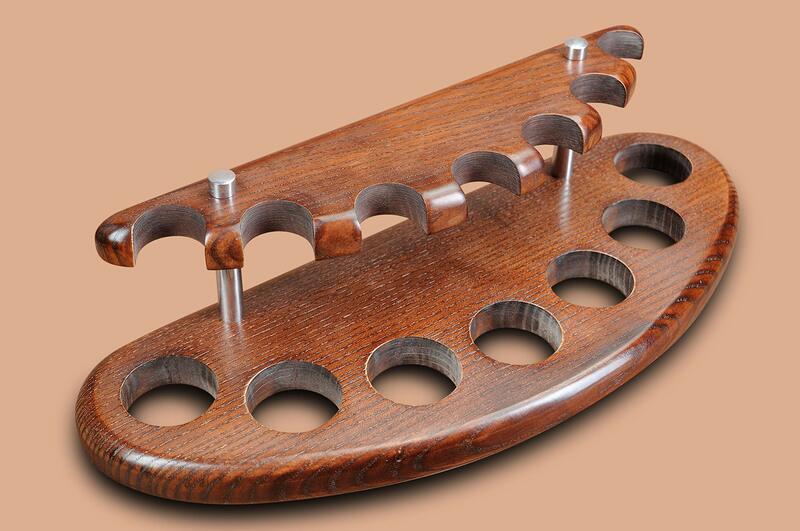 This elegant Wooden Stand for 7 Smoking pipe will perfectly hold your 7 tobacco pipe. 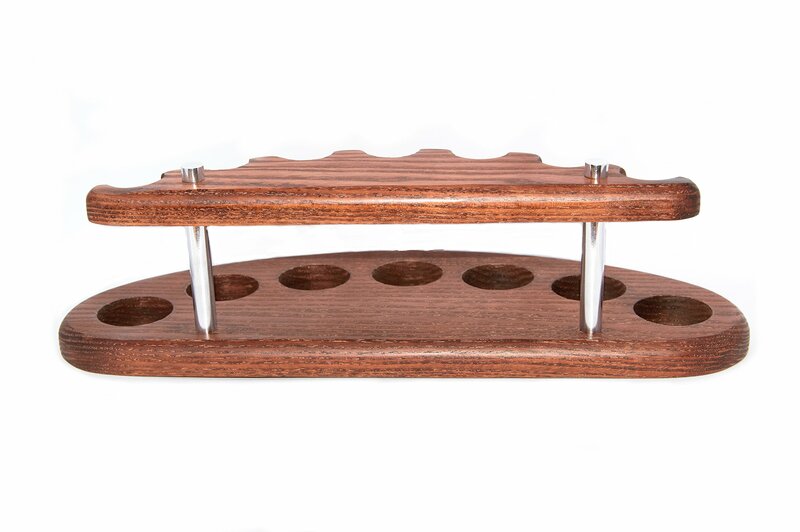 It will take up little space and fit great into your interior. 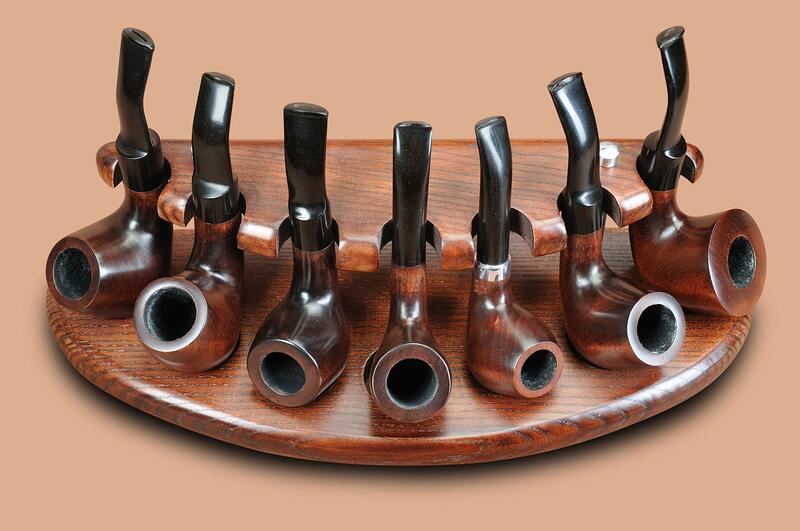 Some pipes require more than just functional racks for storage. 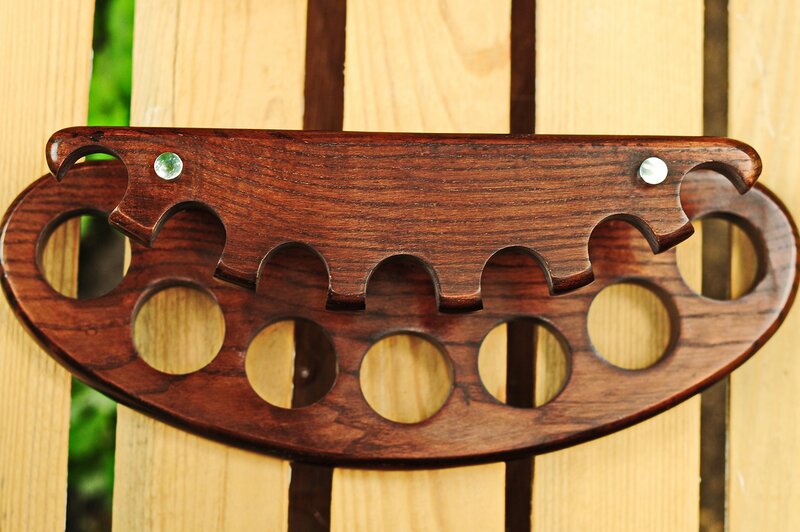 And this model amazes with elegance of design. 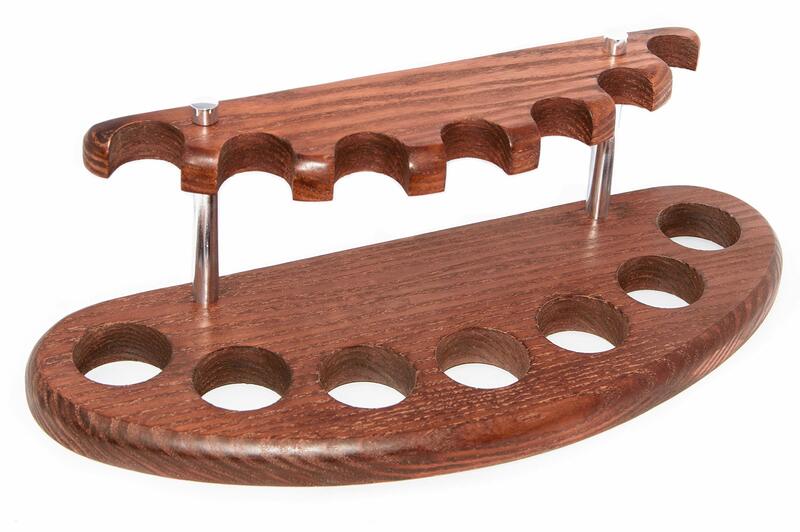 This stand is suitable for both standard classic smoking pipes and for pipes with a long stem. 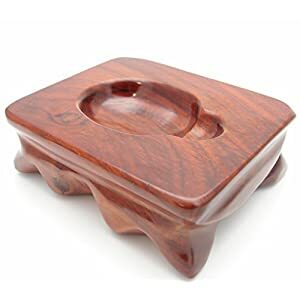 We’ve selected the best wood that will provide your pipes with an aesthetic environment in which to be proudly displayed when not being smoked. 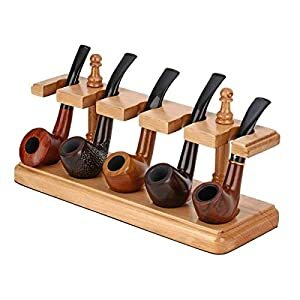 So, instead of letting that great piece flop around in a drawer somewhere, get it out and into a fine pipe stand that complements the pipe and your great taste. 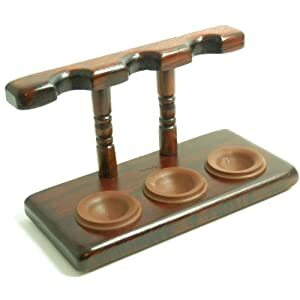 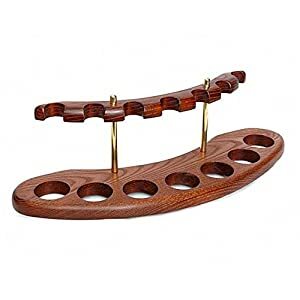 By buying this stand you will make a pleasant gift to the smoker and the collector of smoking pipes or someone else on Вirthday and other holiday. 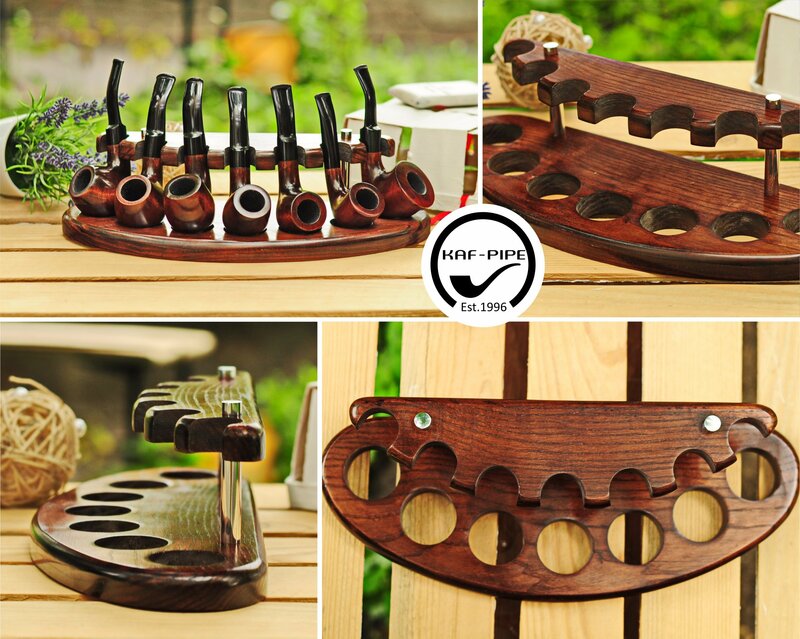 Stand for tobacco pipe is handmade exclusive and fashion accessory for real smoker of pipe.